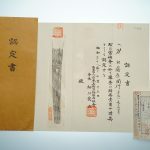 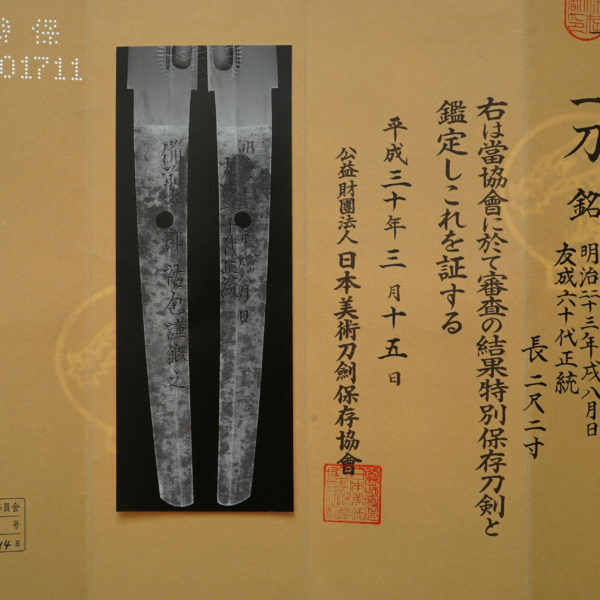 The long blade is shinogizukuri with a iori-mune. This swordsmith was belonged in big group “TAKADA” which is a place name of BUNGO TAKADA. 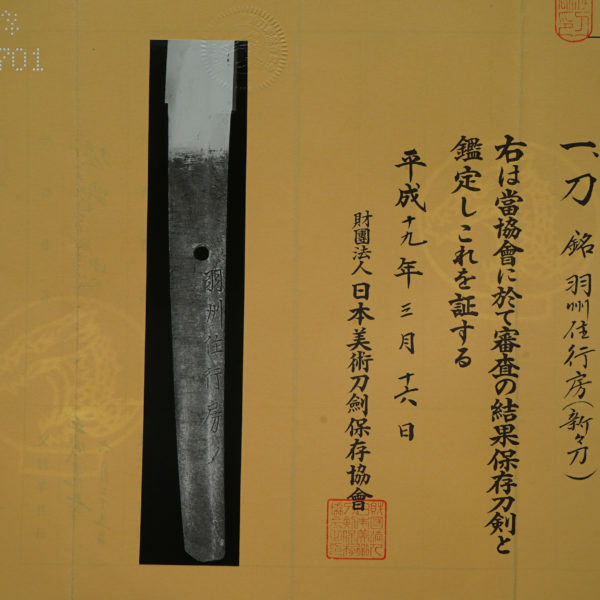 This TAKADA group had been flourished until late EDO period. 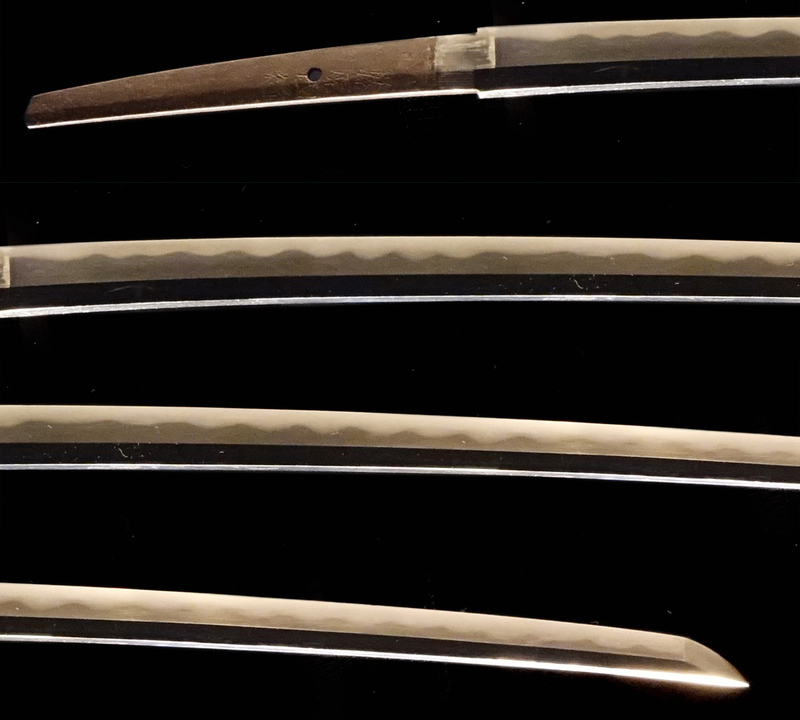 In Muromachi period they were called “平 高田”(TAIRA TAKADA), and in EDO period called “藤原 高田”(FUJIWARA TAKADA). 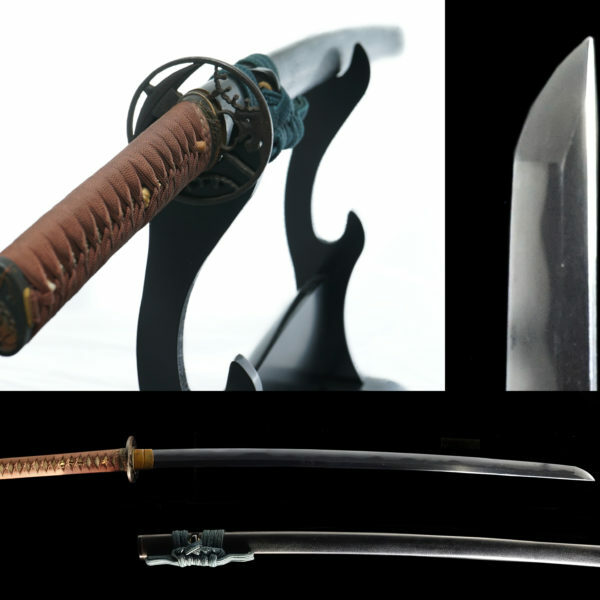 Almost their swordsmith name had been named “行”(YUKI) at last portion. 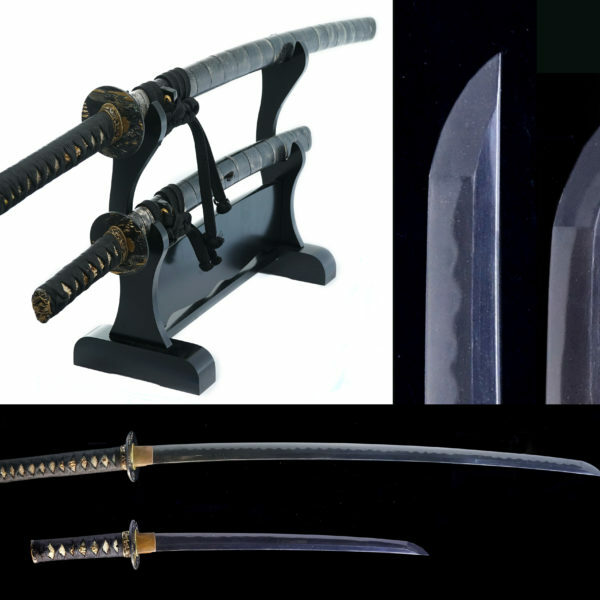 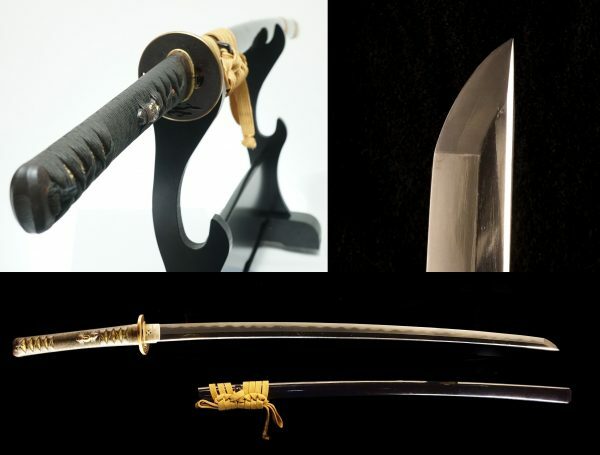 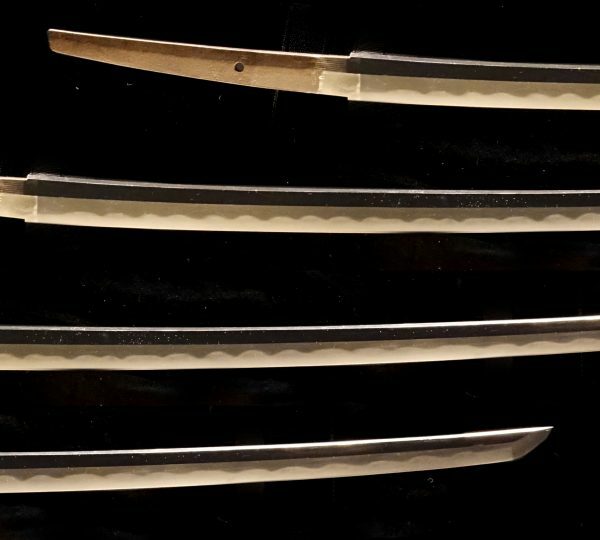 This is a quality SAMURAI sword blessed with a beautiful set of antique mounts and a plain black lacquer scabbard. 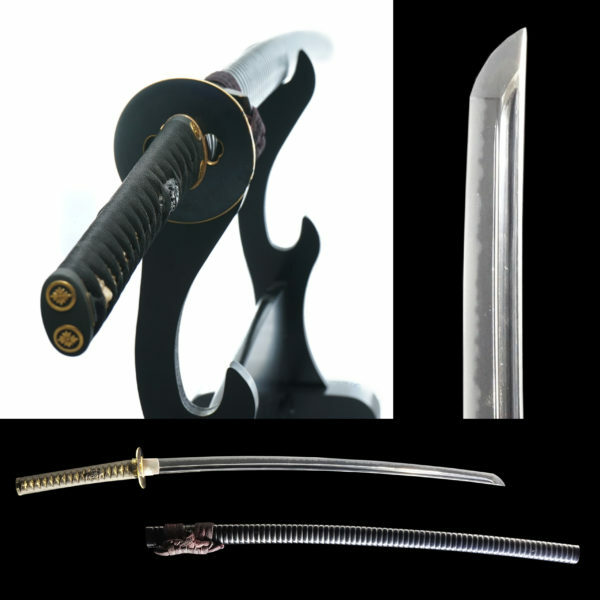 The hilt fittings Iron with engraving family crest. 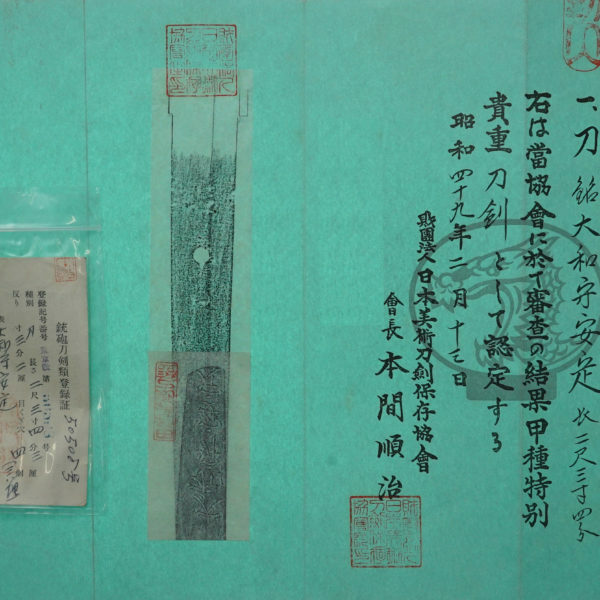 The antique MENUKI are gold colored shells with carving shakudou. 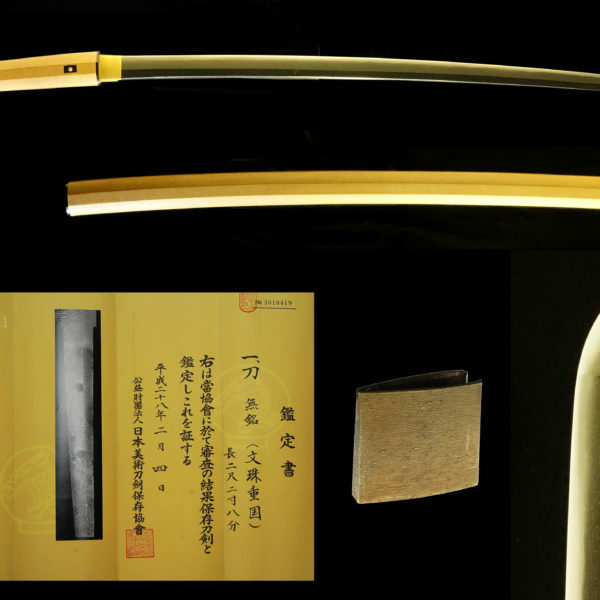 The iron TSUBA has open work water mills with a brass flange. 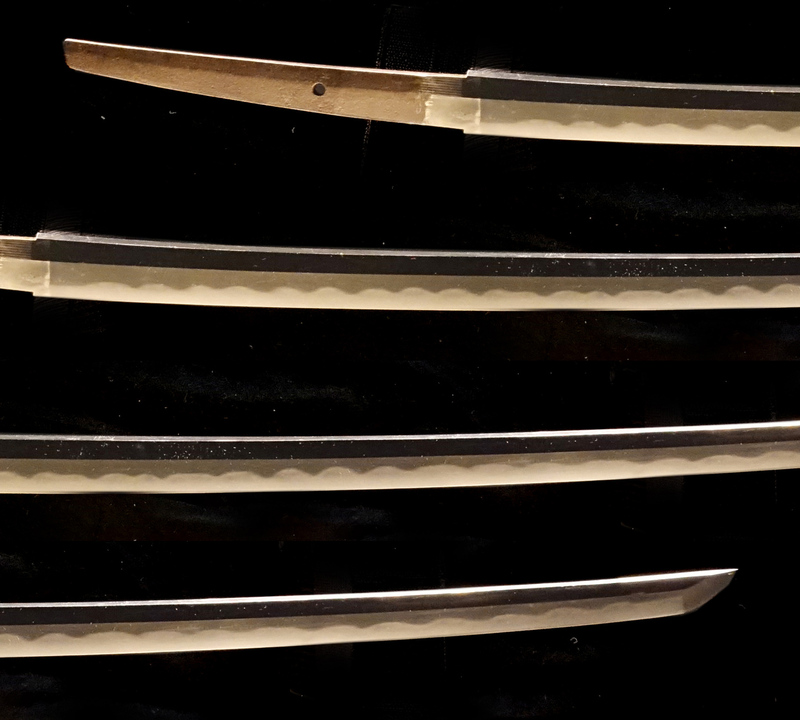 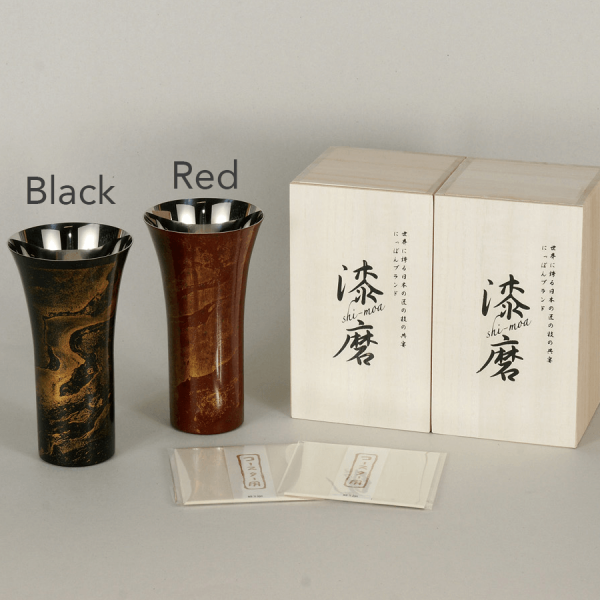 The HABAKI has also open work hawk wings crest with silver material.